It’s been 27 years, 2 months and 15 days. But who’s counting? Nearly 10,000 days. That’s the duration of time between when I first saw the band Survivor perform at Stabler Arena in Bethlehem, PA and the day I took my daughter Jillian to see them for the very first time this past Sunday at Penns Peak. Oh sure, we went to Hershey Park a few summers ago when the band was there but let’s be honest: when you put an 8-year-old girl in an amusement park surrounded by chocolate it’s damn near impossible to get her to sit still for an audio assault of classic rock. So, while Mom and child made their way around the park Dad took one for the team. I know, it’s a tough job. But Sunday night was the ideal night. 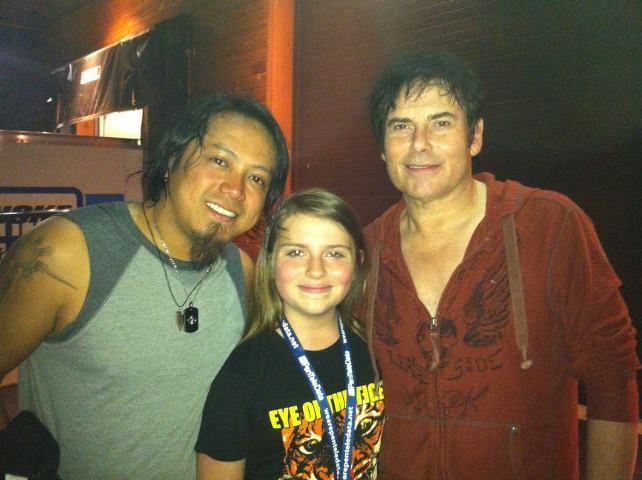 It had been almost seven years since Jimi Jamison fronted the band and it would be Jillian’s first time to see and hear the band her Dad’s been clamoring about since she first wondered what that “Vital Signs” album was doing hanging on the wall in his office. 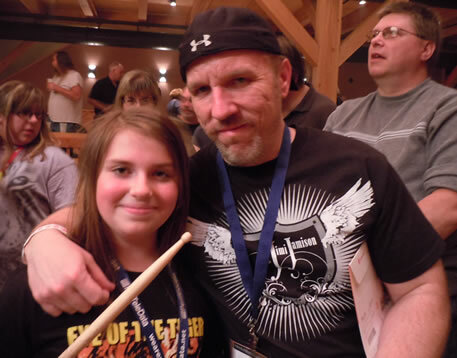 If you are a classic rock, hair-metal or country music lover Penns Peak is the absolute best place to see a show. It reminds me so much of the intimacy that Stabler Arena had. A venue that when you first walk in you can literally read the band’s name on the drum header without the need of binoculars. As far as I’m concerned a concert isn’t just a band playing for you. You need to be part of the experience. A concert is when the band is playing WITH you. As Jillian and I stood in the second row the band ran through a gambit of hits and even a few surprises as well. Truth be told, it’s been a long time since I’ve heard them sound this good. And this was only their fourth show together with this new line-up. A sign of good things to come! We were extremely fortunate to get back stage passes for a quick meet and greet with the band after the show. Persistence. Just keep singing. The more you do it, the better you get. That’s the best advice I can give you! My mind is a bit faded since that Survivor concert two dozen years ago and for the longest time it was hard for me to try to put into words how I felt the night I saw them for the very first time. 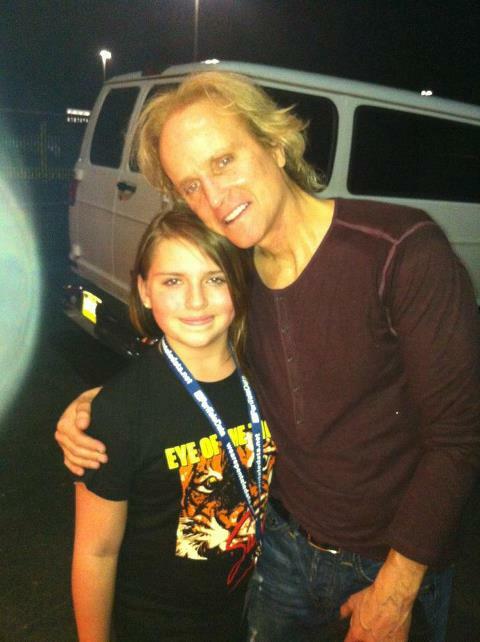 That was until a friend showed me a picture she had taken of Jillian and me after the show was over. Then I figured it out. We will remember this first night together. After all the songs fade away and the stage fades to gray. As we were making our way out a stage hand from the band came over and asked Jillian if she had gotten an “official” Survivor Frankie Sullivan guitar pick. After she told him that she didn’t he took one that he had gotten from the stage and handed it to her as if it might mean something. I still remember it like it was yesterday. It was a hot summer night back in 1982 when my neighbors took my brother and me to the movies to see the third installment of the Rocky Balboa franchise. An experience I’ll never forget. Rocky III may have introduced the world to the fool pitying Mr. T but for me, what was even cooler than seeing Rocky lose and then regain his boxing title to Clubber Lang was hearing that now infamous guitar riff for the first time: “Eye Of The Tiger” by Survivor. Written by Frankie Sullivan and Jim Peterik the theme from Rocky III is still as popular as ever three decades later. Along with winning a Grammy the song was also nominated for an Academy Award, became the #1 song of 1982, has been used to promote everything from sporting events to coffee and ranks as the #3 best song to work out to according to Men’s Health magazine. 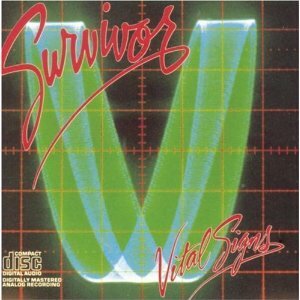 Survivor is currently in the midst of a new tour of the US with Jimi Jamison, the first with the “classic” voice of the band since 2006. I sat down for a quick Q&A with guitarist Frankie Sullivan to get an update on the tour and his thoughts on the milestone anniversary of one of the biggest songs ever. 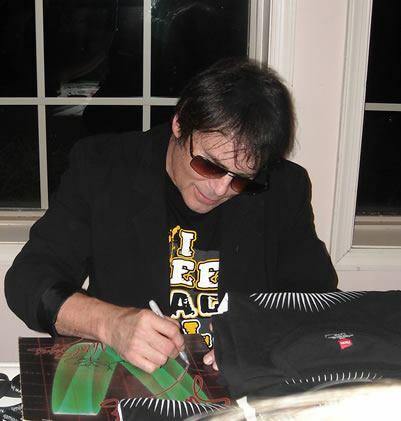 goJimmygo (gJg): What’s it like for Survivor being back on tour again with Jimi Jamison? Frankie Sullivan (FS): This whole experience has been good for everyone. I’m really enjoying it. It’s a cool thing and it’s good to have Jimi back. gJg: How do you guys determine which songs you’ll perform on this tour? FS: What we’ve done is prepared a bunch of songs from our entire catalog. That way we’re able to change-up the set list every night on the fly. It’s also cool for the fans too. They’ll get to hear something different. gJg: What’s your favorite song to play live? FS: I don’t think I have a favorite one. Whatever makes the fans happy makes me happy. I have a lot of songs that I like but it changes. It depends on the gig. Why bother picking one? I enjoy them all! 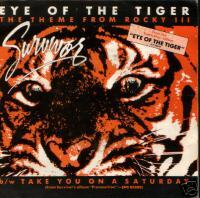 gJg: What are your thoughts on this being the 30th anniversary of “Eye of The Tiger”? FS: You know, I can’t believe it’s been that long. Even today, there are still a lot of cool things going on with it. I’m hearing that Sylvester Stallone wants to go LIVE and take it to Broadway among other things. We’ve recently received a plaque from Sony in recognition of 2.8 million downloads. I don’t have the updated official number but I know it’s the 8th most downloaded song on the Internet right now. gJg: What’s the story behind how it was written? I think Jim and I wrote the music for it in about a half an hour and it took us three days to write the lyrics only because we couldn’t come up with the punch line at first. But we kind of had it down in half an hour. That’s what started it all. People love the song. They can really identify with it. gJg: What are your plans after the tour is over? FS: Ideally, I’d love to stay on and off the road for the next few years. Maybe taking enough of a break in between to record and then go right back at it. We’ve got a lot of new material we’re working on. We’re just taking it a day at a time. 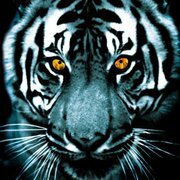 Article first published as Eye Of The Tiger: Still Surviving After Thirty Years on Technorati. This is a repost of a blog I wrote from last December. I will be seeing the band on Sunday with the classic voice for the first time in many years. It will be a surreal moment. If they come to your town, you NEED to see them. Rocky III was the film that first introduced me to Mr. T, the mo-hawked muscle man who would go on to pity fools for the remainder of the 1980′s and beyond. But Rocky III also introduced me to something else: something even more powerful than Mr. T’s gold chains or feathered earrings. It was also the film where I first heard the now infamous guitar riff for a song from a band that would change my life: Eye Of The Tiger by Survivor. 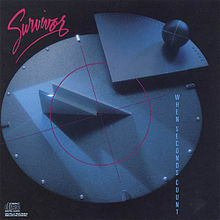 When I first started playing guitar in 1984 a new Survivor album was already making its way up the charts. 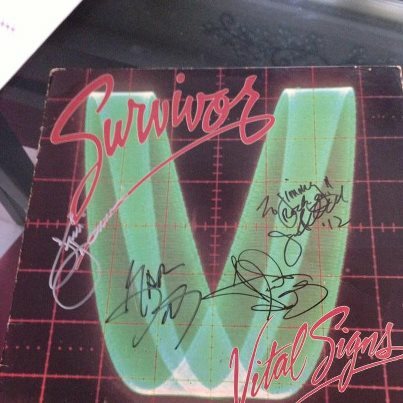 Vital Signs was the first album to feature new singer Jimi Jamison on vocals and was the very first record I ever purchased. (Jamison would later go on to sing the infamous theme from the television show Baywatch). 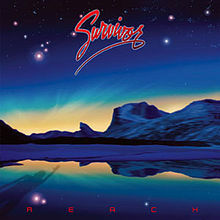 Songs like “I Can’t Hold Back“, “High on You” and “The Search is Over” were getting tremendous airplay on both radio and the early days of MTV (back when they used to play music videos). These were songs with melodies and lyrics that really spoke to me. Words of encouragement in my love less adolescent youth. Songs I wanted to learn how to play. 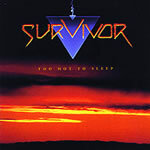 It wasn’t long before college came calling and once again Survivor was there with me. This time with 1988′s Too Hot To Sleep. I can’t begin to tell you how many trips across the miles of campus I made with “Didn’t Know it Was Love” and “Desperate Dreams” blaring on my Sony Walkman. Although the band themselves consider this to be their best album the fact that it didn’t achieve big commercial success didn’t bother me one bit. For me, much like them, it’s always been about the music and this one delivered the goods. 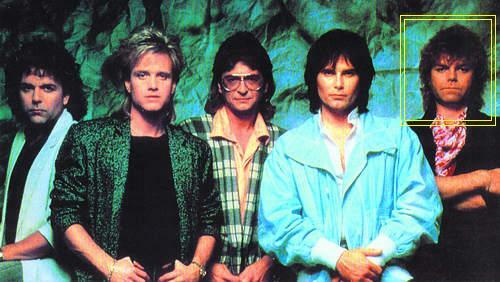 “Back in the New York Groove” was a song written by Russ Ballard that first appeared on the 1975 album “Keep Us Off The Streets” by the British glam band Hello. As a musician I know this because well, I looked it up. Who would have thought that three years after it first appeared on vinyl that song would indirectly become part of my life? It was 1978. The year the members of KISS, the biggest band in the world at the time and with enough glitz, makeup and pyrotechnic prowess to make even the great Liberace and his golden candelabra melt, all simultaneously released their own solo albums as a gimmick. “New York Groove” was a song covered by guitarist Ace Frehley on his solo album of the same name. As a nine-year old boy, KISS was the world to me and Ace was always my favorite member of the band. Not just because he had the coolest face makeup but also for the way his sunburst Les Paul guitars would literally catch fire during his solos. Ace’s antics were one of the main reasons I picked up a guitar with the dream to “Shout it Out Loud” and “Rock and Roll All Nite”. As far as I was concerned Ace Frehley was synonymous with rock and roll and suffice to say, his solo album quickly wore out on my turn table. So it’s kind of ironic how thirty-three years later that particular song, New York Groove, was selected to be the theme for NY Ink, the reality-based television series on TLC. 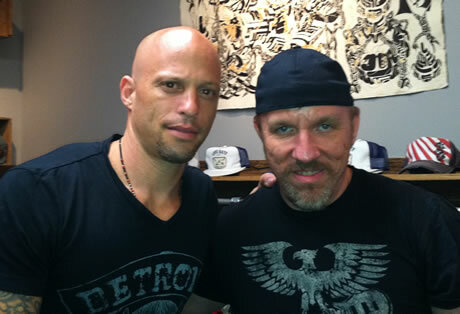 For those who may not be aware, NY Ink follows the trials and tribulations of famed tattoo artist Ami James as he attempts to make a go of a tattoo studio in the SOHO district of New York City. What’s even more surprising is the notion that the melody for “New York Groove” kept running through my head as I looked out the window of the bus that was carrying me to New York City to get my first tattoo from Megan Massacre, tell my own musical “story” and have the segment recorded for the second season of NY Ink. In my family being of age and still a tattoo virgin is frowned upon. The inside joke being: “You can’t consider yourself a “Wood” if you don’t have at least a little ink”. 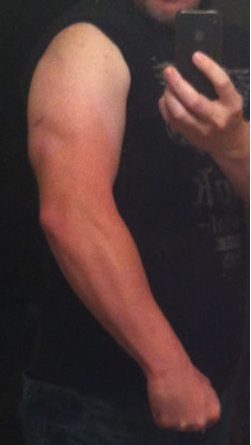 Most of my relatives have been tattooed at some point or another but I never was. Quite frankly, I would have been perfectly content with being the only black sheep in the family. It wasn’t until I stumbled upon NY Ink that I began to give being tattooed serious consideration. The artwork and stories I had heard really had a profound impact on me. More so than any “cool” factor would in me getting needled. And my own story would sure be one for the books. From an early age I was a guitarist with a dream to be a rock star. You know, right up there in the same league as KISS, Survivor, and Bon Jovi. Yeah, that was going to be me. I even remember writing journal entries about “making it” while in high school. At one point I’d pretend my journal was a Rolling Stone magazine interview. I’d write questions that I’d want the interviewer to ask me and then answer them in full ‘rock and roll’ mode. I’d muse about who I’d be collaborating with, the up coming summer tour I was about to embark upon and what I did when throngs of female fans sought my attention. Little did I know at the time that one day the dream was going to come true but in a most unusual way. I couldn’t wait to tell the story and have it memorialized. As the bus slowly rolled into the Port Authority Station a feeling of excitement and anticipation filled me. I slowly departed and made my way into Manhattan not really sure if I was more excited to tell the story, get my first tattoo from an artist I greatly admire or the fact that my experience was going to be filmed and possibly air on a television show. In any case all I did know was that Ace would have been pleased. Today was going to be an interesting day.